A great weekend for results! 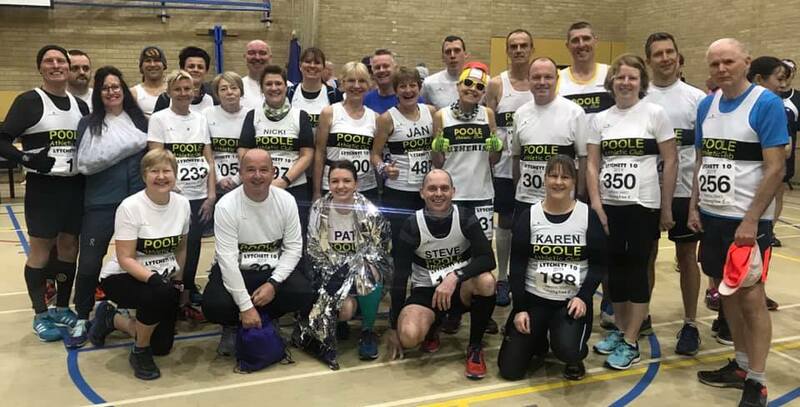 Forty-one Poole AC athletes competed in the Lytchett 10 road race, the second event in the 2019 Dorset Road Race League, and part of the club’s road race championship. Richard Saunders came 30th in the challenging trail half marathon around Portland in a chip time of 02:08:35. Matthew Tomlinson took on the full marathon distance in a time of 05:27:08 securing 59th place. Gary Tyler completed 13.1 miles in a time of 02:13:21. Melissa Courtney came 2nd in the 3000m final in a time of 8:50.61, securing a place to represent Great Britain and Northern Ireland at the European Indoors in Glasgow in March.